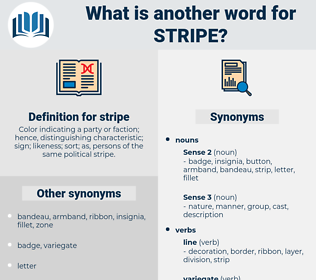 What is another word for stripe? 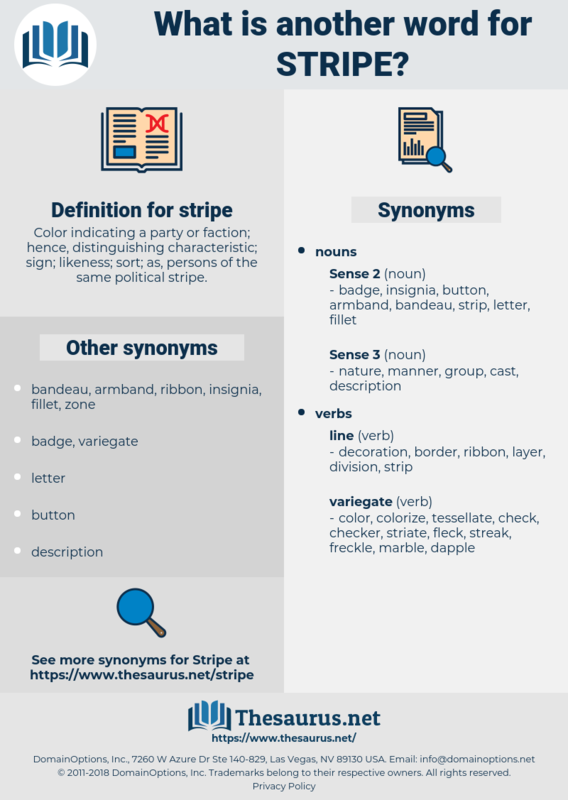 Color indicating a party or faction; hence, distinguishing characteristic; sign; likeness; sort; as, persons of the same political stripe. skate, strake, scratch, strap, gang. There's another of his stripe." By - and - by Nicholas returned with a new parki and a pair of wonderful buckskin breeches - not like anything worn by the Lower River natives, or by the coast - men either: well cut, well made, and handsomely fringed down the outside of the leg where an officer's gold stripe goes. hatband, pinstripe, neckband, cigar band.